Alan Liu is Professor in the English Department at the University of California, Santa Barbara, and an affiliated faculty member of UCSB's Media Arts & Technology graduate program. Previously, he was on the faculty of Yale University's English Department and British Studies Program. His research begain in the field of British romantic literature and art. A first book, Wordsworth: The Sense of History (Stanford UP, 1989), explored the relation between the imaginative experiences of literature and history. Theoretical essays in the 1990s then explored cultural criticism, the "new historicism," and postmodernism in contemporary literary studies. In 1994, when he started his Voice of the Shuttle Web site for humanities research, he began to study information culture as a way to close the circuit between the literary or historical imagination and the technological imagination. 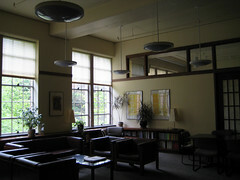 Books published since then include The Laws of Cool: Knowledge Work and the Culture of Information (U. Chicago Press, 2004), Local Transcendence: Essays on Postmodern Historicism and the Database (U. Chicago Press, 2008), and Friending the Past: The Sense of History in the Digital Age (U. Chicago Press, 2018). 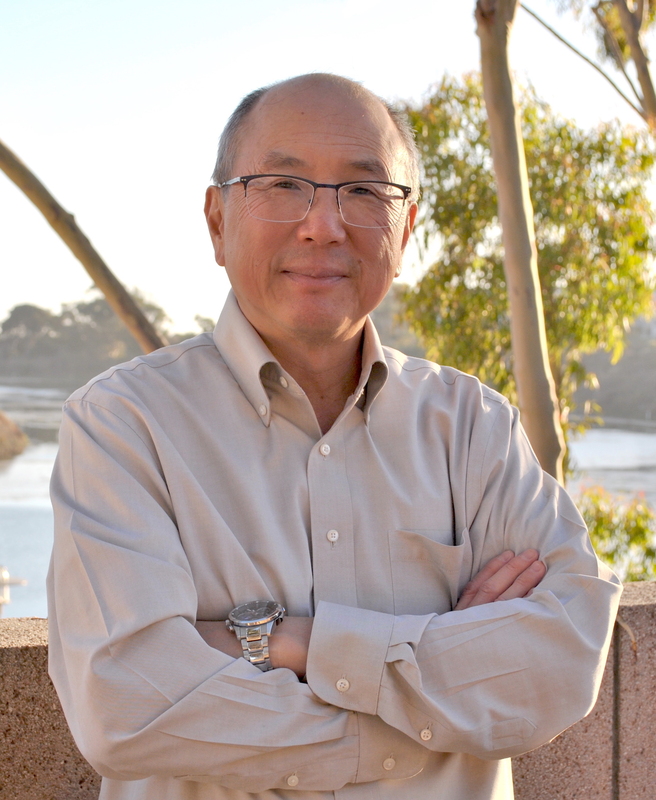 Liu founded the NEH-funded Teaching with Technology project at UC Santa Barbara called Transcriptions: Literature and the Culture of Information and his English Dept’s undergraduate specialization on Literature and the Culture of Information. During 2002-2007 he was a member of the Board of Directors of the Electronic Literature Organization (ELO) and chair of the Technology/Software Committee of the ELO’s PAD Initiative (Preservation / Archiving / Dissemination of Electronic Literature). Digital initiatives or projects he has led include Transliteracies: Research in the Technological, Social, and Cultural Practices of Online Reading, a University of California multi-campus, collaborative research group (2005-10); RoSE (Research-oriented Social Environment), a software project funded by a NEH Digital Humanities Start-up grant (2011-12); and the 4Humanities.org WhatEvery1Says project, a big-data research initiative focused on public discourse about the humanities funded by the Mellon Foundation (2017-2020). He is co-founder and -leader of the international 4Humanities.org advocacy initiative as well as 4Humanities@UCSB (the 4Humanities local chapter at UCSB). Liu is currently working on books about where the sense of history has gone in the information age and how the digital humanities field can develop a mode of "critical infrastructure studies." He served as Chair of his department during 2008-12. In 2012-13 he received an ACLS fellowship as well as short-term fellowships at the National Humanities Center and the Australian National University Humanities Research Centre. In fall 2015 he was a Fulbright Specialist at the University of Canterbury, New Zealand. Alan is currently finishing work with a team of others on the RoSE (Research-oriented Social Environment) project and co-leading the 4Humanities advocacy initiative as well as the UCSB 4Humanities local chapter called 4Humanities@UCSB (an Interdisciplinary Humanities Center Research Focus Group. "I am interested in the cultural life of information or, more broadly, of contemporary knowledge work. My specific question concerns the role of literature in that cultural life. What is the future of literature when all culture is increasingly the culture of information and when even literary scholars subordinate literature to an apparent clone of information: cultural context?" "The Power of Formalism: The New Historicism," ELH 56 (1989): 721-71. Principal Investigator, 2005-2010: Transliteracies: Research in the Technological, Social, and Cultural Practices of Online Reading <http://transliteracies.english.ucsb.edu> (University of California Multicampus Research Group, 2005-2010). Interdisciplinary project designed to study and develop innovations in the practices of online reading. Current special focus: "social computing" as a bridge between scholarly and public online reading environments. Funded initially by a $175,000 University of California Office of the President grant (plus $259,000 of University of California, Santa Barbara, cost sharing), the project includes among its participants 24 University of California faculty representing at least 11 different disciplines from 7 of the University of California general campuses. Co-Founder, 2007-present: UCSB Social Computing Group <http://socialcomputing.ucsb.edu/> Co-founder (with Kevin Almeroth, Bruce Bimber, Jennifer Earl, Andrew Flanagin, James Frew, Miriam Metzger) of the UCSB Social Computing Group. Affiliated with the Transliteracies Project, the UCSB Center for Information and Technology (CITS), and the UCSB Credibility and Digital Media project, the Social Computing Group works on the new field of "social computing" that has emerged as a result of the increasing impact of social processes in the online documents of "Web 2.0." Particular topics of study include: social computing technologies, analytical and data-mining methods, information credibility (new socio-technological mechanisms of authority, quality, and trust), and collective action. The Social Computing Group organized a research workshop on May 30, 2008, involving extramural scholars, industry specialists, and others in the field. It is also writing grant proposals (including a NSF IGERT proposal) to start a graduate research and training program at UCSB on social computing. General Editor, 2005-present: The Agrippa Files. <http://agrippa.english.ucsb.edu> Web archive (co-created with graduate students) of unique materials related to the origins and composition of the limited-edition art book titled Agrippa: A Book of the Dead, with self-encrypting (erasing) poem by William Gibson and etchings by Dennis Ashbaugh (New York: Kevin Begos, 1992). Since its original publication, this rare work has become famous primarily for unauthorized copies of the poem by William Gibson on the Internet. With the cooperation of the publisher, Kevin Begos, The Agrippa Files makes available photos of the physical art book, the code and an emulation of the original self-encrypting Gibson poem, correspondence and contracts related to the work's publication, a narrative of the origin and development of the work, and resources for critical study. Editor, 1994-present: The Voice of the Shuttle: Web Page for Humanities Research <http://vos.ucsb.edu> Initiated in 1994 as a 70+ Web-page directory of online humanities research resources organized by field, historical period, author, etc. Reimplemented as database-driven site in 2001 with the assistance of Robert Adlington and Jeremy Douglass. Interview by Nicole King. "Meaningful Contexts: An Interview with Alan Liu." English Subject Centre Newsletter, 12 (April 2007): 6-9. "Peopling the Police: A Social Computing Approach to Information Authority in the Age of Web 2.0." The Big Picture lecture series. Art Center College of Design, Pasadena. 13 July 2009.